A nineties Disney Pixar classic, A Bug's Life centred around a misfit ant called Flik. His mission, to gather a troop of army ants to fend off greedy grasshoppers threatening their colony. However, the warriors he recruits turn out to be a troupe of circus bugs! 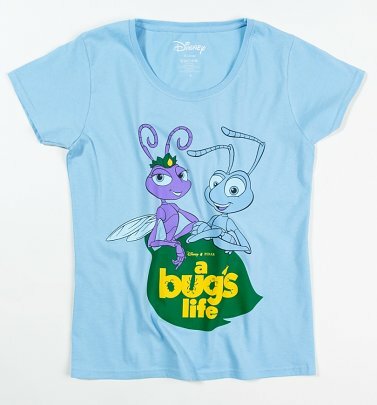 Re-live the 1998 hit with an awesome official, Bug's Life t-shirt.